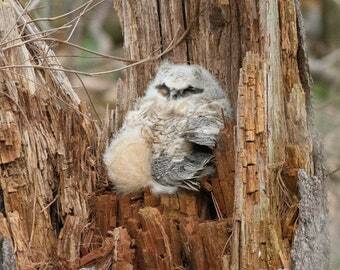 Card and print - Mama and Baby Great Horned Owl! Box of Cards (6) - Variety Pack with Nature and Bird Photography from Fresh Pond! Welcome to my shop! I hope you enjoy browsing local photography (in the form of cards, calendars, and prints) from Fresh Pond Reservation in Cambridge, MA. Free shipping is offered on orders $30 and over! Sign up for the FreshPondFeathers newsletter for periodic updates on new photos and items, and I will send you a coupon code good for 10% off orders over $10. To sign up, please send an email to kim.starbuck [!at] gmail.com with the subject line, Subscribe. Thank you! Box of Cards (4) | Fall at Fresh Pond! Card and print - Canada Geese at Sunrise! Card and print - Great Horned Owl - finally on the tree! Box of Cards (6) - Birds of Fresh Pond! 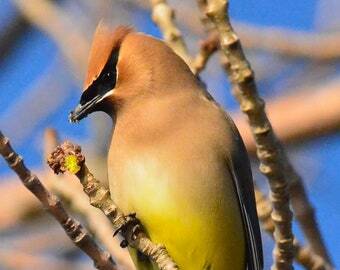 Card and print - Cedar Waxwing eating berries! Card and print - Summer at Fresh Pond! Card and print - Mama and Baby Flickers! Card and print - Spring butterflies! 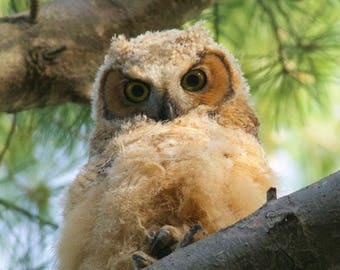 Card and print - Great Horned Owl (fuzzy Juvenile)! 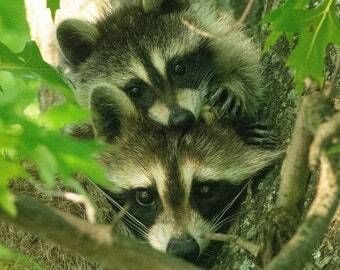 Card and print - Mama and Baby Raccoon! Card and print - Juvenile Black-Crowned Night Heron! Card and print - Mama and Baby Mallards! Card and print - Good Morning Fresh Pond! Card and print - Fall mornings at Fresh Pond! Card and print - Great Blue Heron flies to the moon! Card and print - Calm before the Storm! Card and print - December Sunrise! Card and print - Crystal Evergreen! Card and print - Northern Flicker with polkadots! Card and print - Clouds on a Pond! Card and print - Snow Winterberries! Card and print - Tree Swallow Squabble! Card and print - Eastern Screech Owl! Card and print - Red-tailed Hawk wingspan! Card and print - Red-tailed Hawk on the hunt! 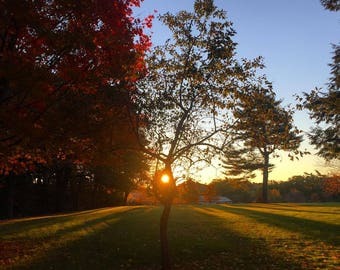 Card and print - Fall at Fresh Pond! Beautiful calendar of one of my favorite places. 2019 Calendar: Nature and Bird Photography from Fresh Pond! Excellent photography! My daughter stole it for her bedroom. Beautiful pictures. Perfect as a unique gift or just popping a note in the mail. Shipping was prompt. Interaction was professional. Looking forward to future purchasing from this shop! This site contains handmade cards, calendars, and prints with photography taken at Fresh Pond Reservation in Cambridge MA. 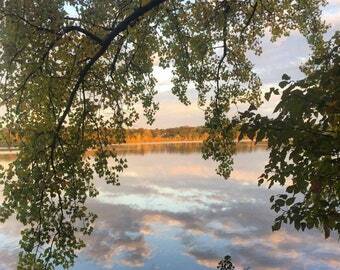 Fresh Pond Reservation is a calm oasis in a city setting. Many people in Cambridge, MA walk, bike ride, and run on the 2 1/4 mile path around the 155 acre pond. Birders also come year-round to seek out the resident and transient birds. I started coming to Fresh Pond regularly when I got my dog Cisco. I pretty quickly started noticing birds, which is a hobby that was ingrained in me from my mom for decades. I have always liked photography, but had never thought of taking pictures of birds before. Pretty soon, my dog walks transitioned to taking pictures of birds while my dog waited patiently (or not so patiently) at my side. With our society's movement towards staying in touch via email, social media, and texts, sending cards in the mail has become somewhat of a lost art. I hope people will use these cards to connect with loved ones, whether it is for an occasion or just because. I also always think it is nice to share some of your home with the people you love. Cambridge residents, or those who just have an appreciation for nature and birds, can send these to share some of the natural beauty that can be found right outside your doorstep. Note that all photographs can be printed and framed. Contact me directly to arrange for this. Thank you! 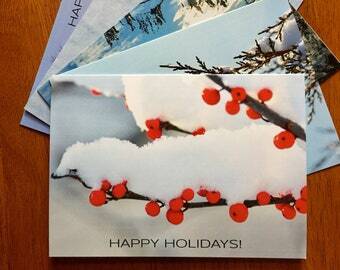 Prestophoto prints the cards; I design them. The partner printed my photos on the mug.